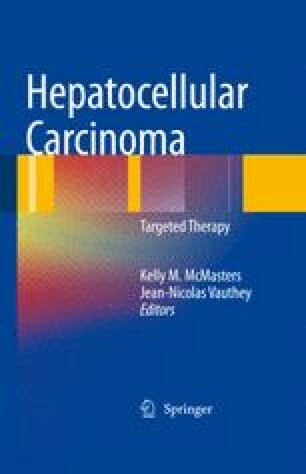 Hepatocellular carcinoma (HCC) accounts for between 85 and 90% of primary liver cancers. Over a million cases of hepatocellular cancer occur annually making it the fifth most common cancer worldwide and the third most common cause of cancer mortality. In the United States, the incidence of HCC has steadily increased over the past two decades, with an estimated 21,370 new cases having occurred in 2008 . HCC-related mortality has increased in parallel with 18,410 estimated deaths during the same time period . In addition, the incidence of HCC in patients with both known risks such as hepatitis C and unknown risk factors is increasing .